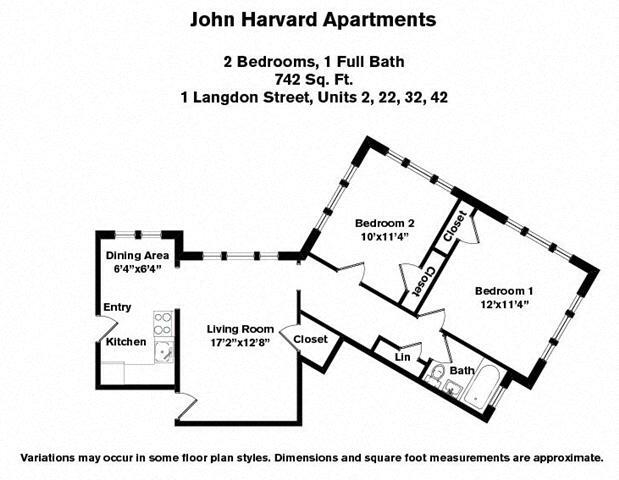 If you’re looking at apartments for rent in Cambridge, John Harvard Apartments is that place. From the tree-lined streets, the classic brick facade and imposing white columns give the apartment building a commanding feel. Inside, the interiors of these Cambridge MA apartments have been updated with Energy Star appliances and other modern conveniences. Your one-, two, or three-bedroom Cambridge MA apartment includes free heat and hot water and the peace of mind that comes with 24 hour maintenance response guarantee. If you like, apartment rental payments can be made online. 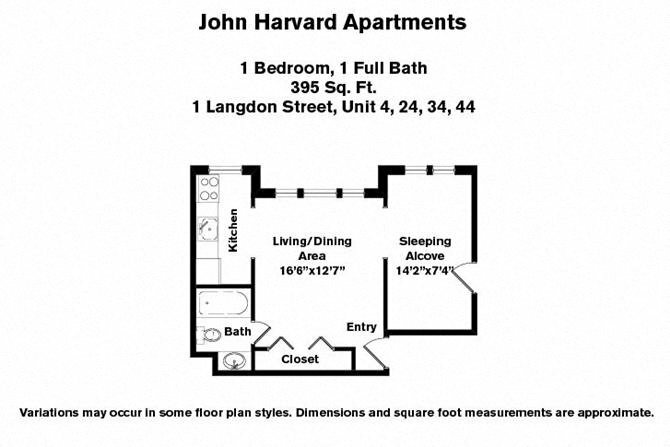 Any John Harvard apartment for rent in Cambridge will put you in walking distance of shops and restaurants, as well as Harvard and MIT. Your apartment is also within reach of public transportation and Zipcars. John Harvard Apartments, located in one of Cambridge’s most desirable neighborhoods, offers a combination of style, function and convenience that is not easily duplicated at other Cambridge, MA apartment rental properties. These Cambridge, MA, apartments for rent at 1-3 Langdon Street and Mass. Avenue are representative of the quality and charm of our Cambridge properties, all of which are renovated buildings that offer the nostalgia of a simpler time in concert with modern amenities. We take great care to ensure that residents at our John Harvard Apartments have an enjoyable living experience by including free heat and hot water, eat in kitchens and updated Energy Star appliances in most apartments. Surrounded by tree lined streets and within walking distance of the MBTA red line and the friendly bustle of Harvard Square and it’s plethora of boutiques, unique restaurants and nightlife, these 1, 2 and 3 bedroom Cambridge, MA apartments for rent offer the best this University town has to offer. In fact, WalkScore, an independent national survey that rates a property’s convenience and access to local amenities, gave John Harvard Apartments a score of 92 out of 100. And if a car is needed for a few hours or a few days, Zipcars are available on site. The entire Boston area is easily accessible via the Mass Pike, Mass Avenue and Routes 2, 16 and 128. But the prime location of this Cambridge, MA, apartment for rent is not its only attraction. CHR takes pride in providing apartments that people like to call home. What sets John Harvard Apartments apart from other communities in the area is our professionally trained staff, and commitment to creating an environment of ease and convenience with an online apartment rent payment system and 24-hour maintenance response guarantee. Combined with cost and resource saving features cialis forum like Energy Star appliances, the well located and well priced John Harvard Apartment rentals can make living at our Cambridge apartment community an enjoyable experience.